Collection level descriptions of archive holdings. Solo - For all printed books acquired since 2014. Card catalogue images - For printed books acquired before 2014. 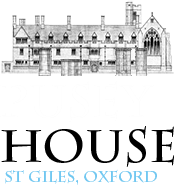 Archive catalogues - PDFs and text searchable versions of many (but not all) Pusey House archive catalogues. ​List of theses held at Pusey House.